Traditional aesthetic but with all modern conveniences to insure a comfortable stay. Guesthouse Hana is in a near 100 year-old building handed down through our family. We want to use this space as a place to meet people from all over the world, and offer a place of calm with an old-Japan feel. We are also passionate about kimono, and offer Kimono-rental services. Kitchen facilities include a sink, stove, kettle, toaster oven and fridge. Tea is complimentary. 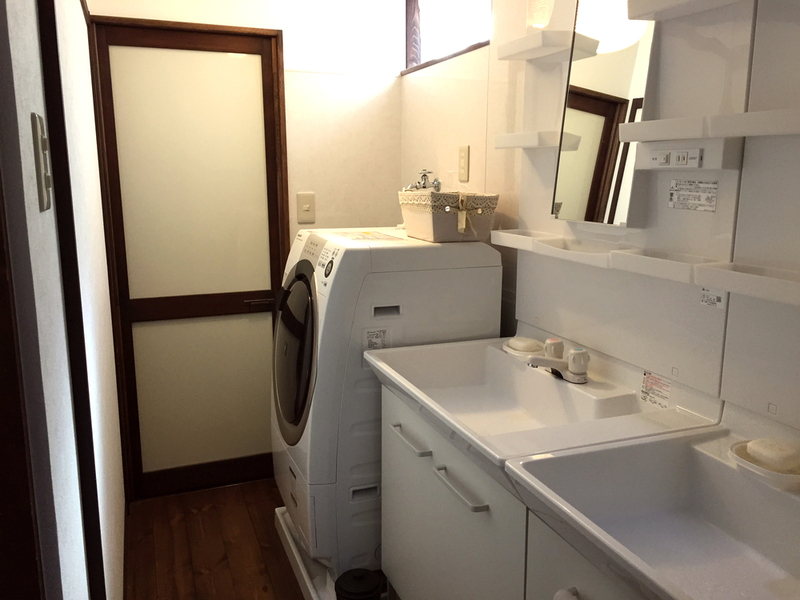 The wash area has two large sinks with mirror, washing machine, bath and shower. We provide towels and, there is soap and shampoo in the bathroom. Hairdryer and towels are also available. There are two toilets on the first floor. Each room is equipped with and air conditioner and wi-fi is available in all areas. There is also a safe in each room. There is a security deposit of 1000yen required. Walls are finished with shikkui plaster - a traditional, natural style of plaster that has no chemicals and is eco-friendly. Smoking is prohibited inside the building, guests wishing to smoke must do so outside in front of the building. The guesthouse is located in a peaceful residential area. We ask guests to be mindful of our neighbours and other guests when coming and going, especially at night. Facilities may be used until midnight.